Fishing is one of the best ways to connect with nature and breathe in some fresh air. Listening to the calming sounds of Mother Nature and returning to the pleasures of the simple life is very relaxing and it makes you forget all about the stress and the worries of your daily life. Being so far away from everything, by yourself or with a friend is the much needed therapy each and everyone of us needs. Plus, finding the best location requires a bit of exercise, so you’ll be getting the cardio all doctors recommend. However, if you don’t know how to fish or you aren’t properly prepared, it can turn into a very stressful situation. To avoid the stress of being unprepared, let’s talk about how you can learn to fish, what’s the basic equipment you’ll need and a few tips that I’ve learned from my years worth of experience. By far, the best way to learn how to fish is by watching others do it. These days you can do that from the comfort of your own home. 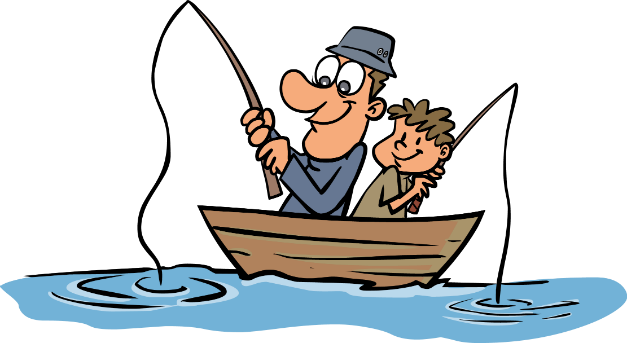 By watching some online fishing TV videos you get to learn without having to embarrass yourself in front of the experienced anglers. You can practice casting in the backyard to learn how to do it without hooking yourself. However, eventually, you do need to get out there and try the techniques yourself. Remember that practice makes perfect. You can’t go fishing without the basic equipment. You are going to need a rod, a line, hooks, lures, sinkers and floats. I would also recommend that you get a landing net as it will make it easier for you to get the fish you’ve caught on the boat or all the way to the shore. With time, you’ll learn what other specifics you needed in your tackle box. There are more advanced and specific pieces of equipment that depend on the situation that the angler is facing. But, as an amateur, you won’t be encountering such situations. In fishing, although patience is key, it’s also important to learn how to let go of a position. For instance if significant amount of time passes and still you have no results, you might want to change the spot that you’re at, experiment with different depths and you’ll eventually you’ll catch something. A tip I learned through online fishing TV is that doing area research is very helpful. The internet is usually very well informed regarding what kind of fish are native to a certain area. Once you have that info, check to see what do those fish eat. It’s a valuable piece of knowledge that could make your fishing trip a success. For example, bass fish like to eat smaller bass. So, if there’s bass in your area, going for a lure that looks like one wouldn’t be a bad idea.